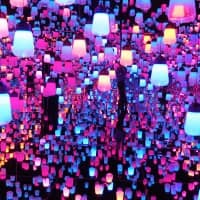 While language and cultural barriers have limited many Brazilians in Japan from actively participating in the wider community, the younger generation, fluent in Japanese, is rising to prominence in a variety of fields. Cultural ties between Japan and Brazil began over a century ago with a 1907 treaty that paved the way for hundreds of Japanese, mostly farmers, to migrate to the South American country. When the flow began reversing in the 1990s, the children and grandchildren of the first generation of Japanese-Brazilians moved to Japan in large numbers. Justice Ministry records indicate that there were more than 190,000 Brazilian nationals living in Japan by the end of 2012. While an estimated 100,000 or more returned to Brazil after the global financial crisis erupted in 2008, they remain the fourth-largest population of foreign residents in the country, after some 650,000 Chinese, 530,000 Koreans, and 200,000 Filipinos. The number of Brazilians in Japan shot up in the 1990s when changes to Japan’s immigration laws opened the domestic labor market to Japanese-Brazilians of up to the third generation. 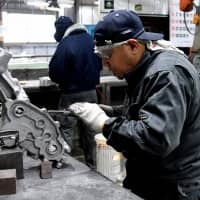 Most of the newly arrived settled in just five prefectures — Aichi, Mie, Shizuoka, Gunma and Gifu — where large numbers of auto plants and related manufacturers provided a ready supply of work. 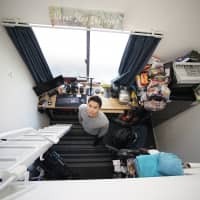 Paulo Issamu Hirano, a 35-year-old third-generation Japanese-Brazilian, is one such immigrant. Now a resident of Isesaki, Gunma Prefecture, he publishes a free newspaper that promotes Oizumi’s “Brazil Town” area, which contains many Brazilian restaurants and shops. “I want to build closer ties between (Brazil Town) and Japanese people,” Hirano said, referring to the reason whyhe began publishing the quarterly paper four years ago under the title “Bem-vindo!” which means “welcome” in Portuguese. 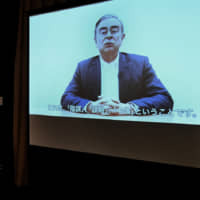 Hirano said he launched the publication as a way of luring Japanese people to Oizumi after many of the town’s Brazilian residents returned to South America as the financial crisis took its toll in Japan. With the help of his 40-year-old wife Luciene — also a third-generation Japanese-Brazilian — Hirano now publishes some 15,000 copies of the quarterly, more than double its original circulation of 7,000. “I would like to offer accurate information on the two countries’ cultures and lives so that (readers) can compare values and make judgments,” he said. Marcelo Watanabe, also a third-generation Japanese-Brazilian resident of Gifu, last year completed a chronicle marking a century since the first Japanese emigrated from the prefecture to Brazil in 1913. The chronicle, written in Japanese and Portuguese, consists of three volumes — one detailing the histories of emigrants from the prefecture, another containing stories about individuals and groups active in the two countries, and a final volume introducing 12 young Japanese-Brazilians who are now living in Gifu, including Watanabe. 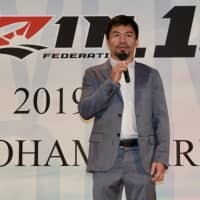 While researching the history of the emigrants, Watanabe, 35, said he was surprised to learn about the many bitter experiences they endured, including the loss of loved ones to malaria, and their grueling workdays, which regularly began at 4 a.m. 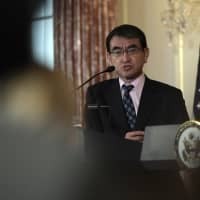 In Japan, those who emigrated became known as “abandoned people,” while in Brazil they were viewed as enemies during the war because Brazil had sided with the Allies Powers, he said. “I am what I am because they (the emigrants) overcame hardships,” Watanabe said. 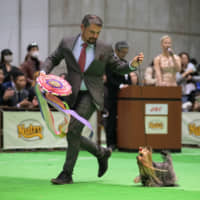 Watanabe came to Japan in 1991, enrolling as a sixth-grader at an elementary school at the age of 13 because he did not understand Japanese well enough to join classes with students his own age. He studied hard, and later qualified as an administrative procedures specialist after graduating from Gifu University. Watanabe now helps immigrants renew their visas at his office in the city of Minokamo, which has a large Brazilian population. Meanwhile, a pop group consisting of five teenage Japanese-Brazilian girls, called Linda Sansei, made their debut in April 2013, performing late last year at the Tokyo Idol Festival — a major annual music event. On the eve of the event, “I was so excited that I couldn’t fall asleep until 3 a.m.,” Mutsumi, a 13-year-old member of the group, recalled. Linda Sansei has drawn attention because its members, whose average age is 14, were all raised in Gunma. Another Brazilian making waves is Ricardo Sugano, a 27-year-old sumo wrestler fighting under the name Kaisei, who came to Japan in 2006 to train at the Tomozuna stable. 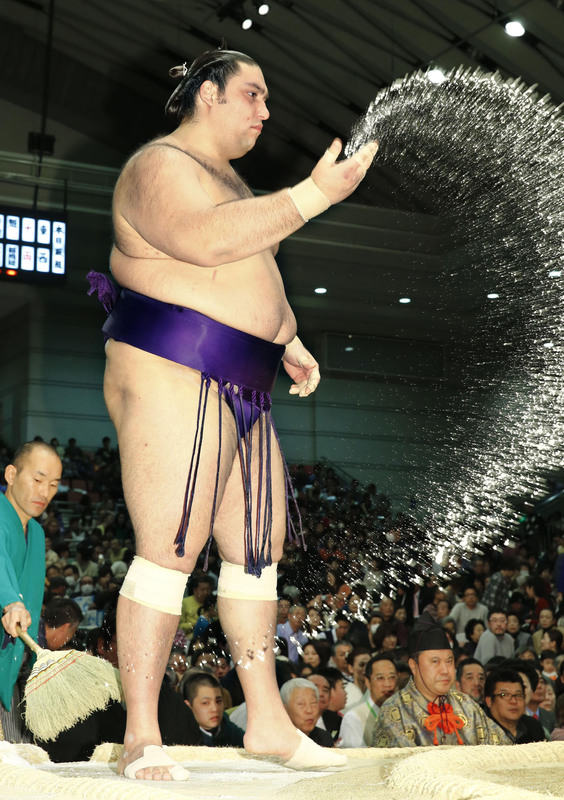 Sugano said his aim for now is to be promoted to the sanyaku — the top three ranks of sumo wrestlers beneath “yokozuna,” or grand champion. And though Sugano is now fluent in Japanese, he could hardly speak a word when he arrived. “I listened very attentively to master Japanese for the sake of myself,” he said.